All around Britain, parents are feeling anxious. In a few short days, their kids will start school. Maybe they will do part-time, maybe they will do full-time. But either way, 4 year olds will wave goodbye to their parents and enter a classroom for the first time. It's a scary time. It is fear of the unknown. Will they manage to read and write? Will they make friends? Will they like their teacher? Will their teacher like them? Will they eat at lunchtime? Will they manage to go to the toilet OK? Will they manage to get changed for PE? No wonder parents are worried. For some it is the first time that their children have been away for the day and out of their control. Does school make life easier? No. Especially not for working parents. You think nursery is difficult? Wait until they're only out of the house 9am until 3pm, 39 weeks a year. And you only have four weeks leave a year! But does school make life worse? No. It's just different. Not better, not worse, just different. Your child will learn so much, not just learning to read, write or do maths, but about socialising and meeting people and independence. You may think you child isn't ready, but he or she isn't alone, because the other children in the class won't be ready either. Reception teachers are totally aware of this. They understand young children and what they need. They listen to them and they care. They will assess them discreetly, to make sure what they are teaching is right for the individual child to help their learning. Are you worried they won't play any more? They do. 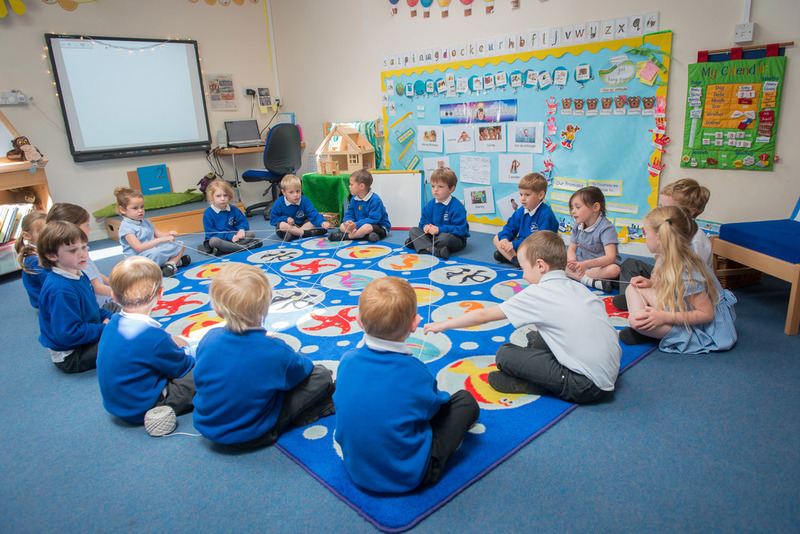 Much of their learning is still through play - the reading, writing and maths is in small, manageable chunks. Of course you're going to worry, of course life will never be quite the same again, but your children are growing up. Life wasn't the same again when they started to crawl, then started to walk. School is a big change. BUT IT'S OK. HONEST. And by Christmas, it will be hard to remember life before your child was at school. In a good way.